Amidst the many names of distinguished scholars and philosophers of the Islamic World listed in historical records, one seems to stand out more than all the others. The exceptional eminence of this particular individual is not only attributed to his remarkable contributions in expanding knowledge in the Islamic World, but also his firm principles in practicing such knowledge with discretion, based on the lines of professional ethics and his religion. He is none other than Hunayn ibn Ishaq. Now, let us have a closer look on one of the most renowned Islamic empires in medieval times, known as the Abbasid Caliphate (العبّاسيّون, al-‘Abbāsīyūn) or the caliphate of Bani Abbasiyah. 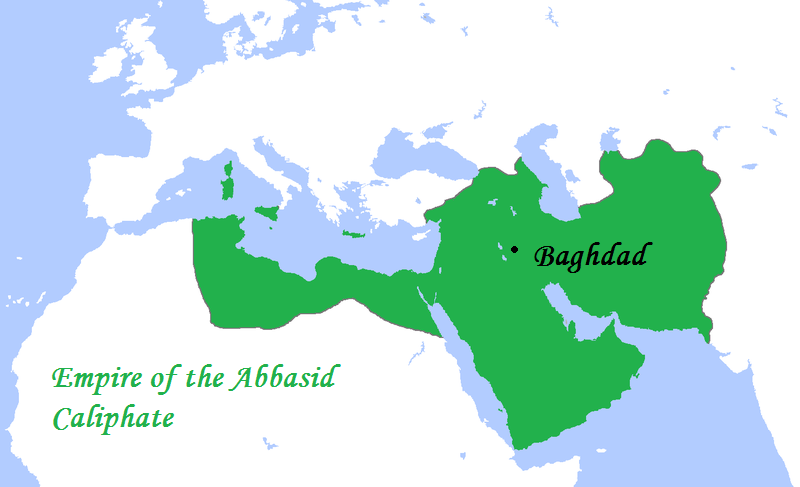 The Abbasid Caliphate (750 – 1258), which was founded by a descendant of Prophet Muhammad’s youngest uncle, Abbas ibn Abd al-Muttalib (العباس بن عبد المطلب‎), established its capital in the city of Baghdad. Its territories were widespread, ranging from Persia and northwestern India to as far as modern-day Algeria and the entire Arabian Peninsula during its zenith of power. Nevertheless, it wasn’t the empire’s widespread territories and tributaries that garnered it prestige, but rather its glorious achievements in various aspects and fields. 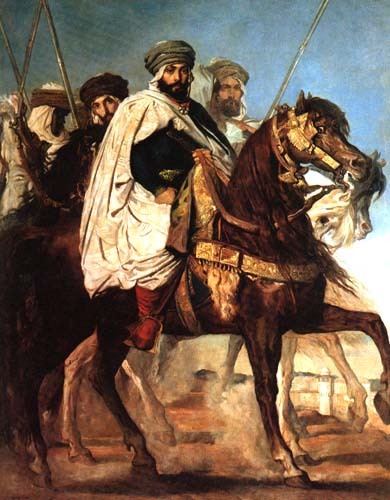 It was said that the Golden Age of Islam commenced in the 9th century and lasted up to the 13th century, spanning over most of the era of the Abbasid Caliphate. During this era, the empire flourished tremendously in various fields of knowledge, scholarship and the arts. 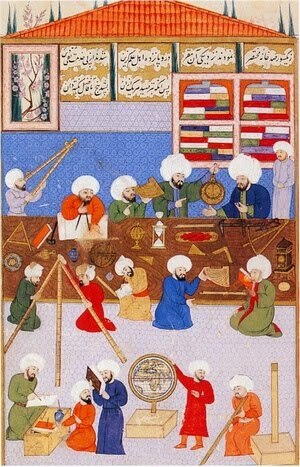 Ranging from the sciences, astronomy and mathematics to areas of philosophy, literature and the fine arts, the Golden Age of Islam displayed an amazing assortment of knowledge and progresses. 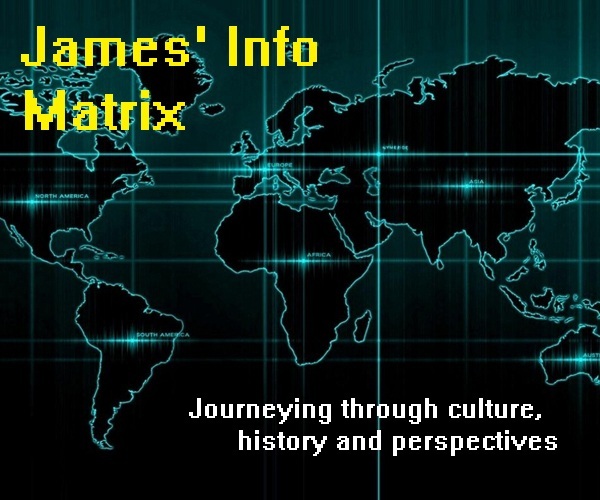 Various sources describe this era as “the cauldron of cultures” that brought together and synthesized knowledge from all over the world, especially those acquired from Roman, Greek, North African, Byzantine, Egyptian, Persian, Chinese and Indian sources. It was against such a background that the great physician and scholar known as Hunayn ibn Ishaq was born. Abu Zayd Hunayn ibn Ishaq al-Ibadi (أبو زيد حنين بن إسحاق العبادي‎) was born in 809 in the medieval Abbasid city of Al-Hira (الحيرة), presently located in Iraq. He was born into a family of Nestorian Christians, of which his father was an apothecary (pharmacist). 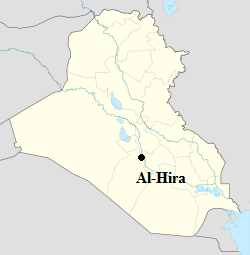 Despite the fact that Al-Hira was within the territory of the Islamic Abbasid Caliphate at that time, the city was strongly influenced by Nestorian Christianity, with many of its inhabitants professing the religion. In his childhood days, Hunayn learned both Syriac and Arabic, which were widely used in the empire at that time. When he grew older, he enrolled in a prestigious private medical school in Baghdad, which was under the direction of a renowned Nestorian Christian physician named Yuhanna ibn Masawaiyh. Hunayn was a keen learner, perhaps somewhat too keen at times up to the extent of raising the ire of his tutor. Hunayn would frequently put forward numerous questions to Yuhanna during lessons, subsequently irritating Yuhanna. It came to a point when Yuhanna was so irritated with Hunayn’s questions that he made an impulsive decision to force Hunayn to leave the school. Leaving the medical school in tears, Hunayn vowed to himself to return to Baghdad as a successful physician after completing his studies elsewhere. He travelled as far as Alexandria and Constantinople to acquire medical knowledge and master the Greek language. He also stayed in Basra (in present-day Iraq) for some time, where he improved his command of the Arabic language. He then returned to Baghdad in 826 and was reconciled to his former tutor Yuhanna, thereafter working closely with him. At this point in his life, Hunayn had successfully mastered Syriac, Arabic and Greek, besides acquiring considerable medical knowledge. From his travels, Hunayn had gathered several Greek medical texts which he subsequently endeavoured to translate into Arabic on his own. His amazing talent and efforts in translating such texts caught the attention of Jibril ibn Bukhtishu (جبرائیل دوم), a physician in the court of Caliph Al-Ma’mun (786 – 833). Jibril subsequently introduced Hunayn to the Sons of Musa. Hence, Jibril, after discovering Hunayn’s superb abilities in translating Greek medical texts, decided to introduce him to the renowned three Sons of Musa, a privilege which would tremendously help in propelling Hunayn further up the ladder of success. For some time, Hunayn served as a translator of academic works under the supervision of the Sons of Musa, earning considerable amounts of payment in the process. At a time when philosophy, learning and scientific knowledge were highly prized throughout the Muslim World, translators became exceedingly indispensable assets. 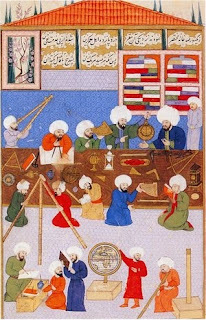 The fact that many scientific and philosophical works prior to the Islamic era were written in Greek rendered Greek translators even more valuable and reputable. As a result of greater demand for capable Greek translators to translate Greek works into Arabic, Hunayn’s talents and efforts in translating Greek academic works flared out even more, until the extent of capturing the eye of Caliph Al-Ma’mun himself. 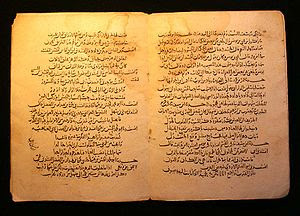 Caliph Al-Ma’mun, who was an enthusiastic patron of learning, emphasized much on the translation of Greek scientific writings into Arabic in order to make them accessible to all within his empire. Hence, upon seeing how much talent the young translator possessed, Caliph Al-Ma’mun decided to put Hunayn in charge of the House of Wisdom in 830. Hunayn also had the privilege of travelling often to Constantinople under the caliph’s sponsorship in order to search for additional Greek academic manuscripts to be translated into Arabic. Hunayn’s translations bore such remarkable quality that he was often paid in gold the weight of his translated works. While serving in the House of Wisdom, Hunayn rapidly rocketed up to the pinnacle of success in his career. Not only was he an outstanding translator and scholar, he was also a prolific writer and competent physician. His vast knowledge and skills in the field of medicine earned him much fame. Hunayn’s services and expertise were much sought after, especially in difficult medical cases which other physicians could not treat. He was frequently consulted for advice and assistance in matters pertaining to medicine even by other well-known physicians of his time. Hunayn served as a translator and scholar under several caliphs succeeding Caliph Al-Ma’mun, namely Caliph Al-Mu’tasim (794 – 842), Caliph Al-Wathiq (died 847) and Caliph Al-Mutawakkil (821 – 861). 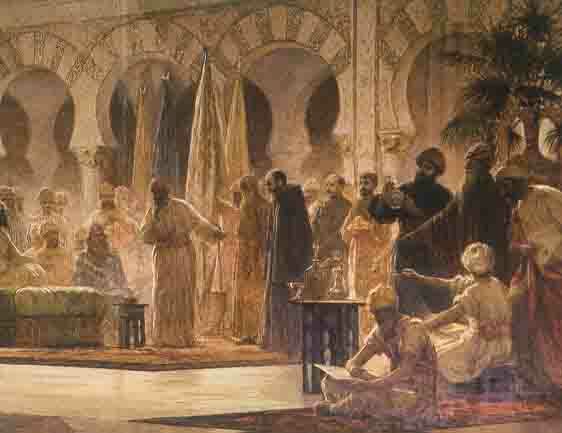 It was during the reign of Caliph Al-Mutawakkil when Hunayn reached the summit of glory as a physician. Seeing how outstanding Hunayn was in the field of medicine, Caliph Al-Mutawakkil appointed him to be his personal physician. Nevertheless, according to a well-known story, the caliph initially had some suspicions against the great physician. During that time, knowledge of poisons and methods to concoct them were mostly kept by physicians and such knowledge was rarely, if at all, disclosed to anyone else. Consequently, many rulers of the era were extremely fearful of being poisoned by untrustworthy physicians. Although Hunayn was also well-known for his integrity in practicing medicine, the caliph still held this fear within him. Hence, the caliph decided to test Hunayn in order to allay his fears. Caliph Al-Mutawakkil asked Hunayn to concoct a powerful poison for him, requiring it in order to eliminate an enemy. He offered tremendous rewards to the great physician if this request could be fulfilled. Hunayn declined the offer, stating that he had spent his lifetime learning about the beneficial aspects of drugs and would require a few more years to acquire knowledge on drugs with lethal effects. The caliph insisted that he required the drug immediately and subsequently doubled the offer. Nonetheless, Hunayn stood by the same reply and refused the offer altogether. After the death of Caliph Al-Mutawakkil, Hunayn continued enjoying the favour of subsequent caliphs until his death, namely Caliph Al-Muntasir (died 862), Caliph Al-Musta’in (died 866), Caliph Al-Mu’tazz (died 869), Caliph Al-Muhtadi (died 870) and Caliph Al-Mu’tamid (844 – 892). Hunayn died in 873 in Baghdad at the age of 64, leaving behind a legacy of scientific and medical advancements in the form of translations and self-written works. It was this legacy, a legacy from a prominent Nestorian Christian scholar and physician, that has contributed a great deal to medical and scientific progresses during the Golden Age of Islam. In the next part of this article, I will be covering more on the translations and written works of the great Nestorian Christian physician which have contributed vastly to the scientific progresses during the Golden Age of Islam.